Santa Claus can capture photos of all of his gift giving around the globe with a convenient new camera tripod small enough to fit in the pocket of his red suit. Square Jellyfish is expanding its line of helpful accessories with a new pocket-sized tripod that will be available just in time for the holidays. The tripod will be perfect for any photographer who wants to stabilize a camera for pictures or videos. Ideal for photography hobbyists on the go, travelers who dont want to carry a heavy tripod or families wanting to capture photos of parents and their children at home and virtually anywhere, the Square Jellyfish Pocket Tripod is portable and easy to use. It can be mounted quickly to any camera with a tripod screw mount. The unique shape of the tripod allows a camera to be positioned at many different angles while holding a camera steady to take a picture. We have seen enormous interest in a small tripod thats easy for photographers to use on the go in any setting, said Judie Kuhn, Square Jellyfish product manager. This new product can steady a variety of cameras at many different angles yet its small enough to tuck in to a pocket, purse or bag without adding any weight or bulk to a trip. Who hasnt wished they had one of these when taking a photo of a group or family, always forcing one personthe photographerto be left out of the shot? Kuhn said. Photography enthusiasts can use the Pocket Tripod for hands-free positioning of a camera, which can be swiveled 360 degrees held level, or angled upward or downward in any combination. 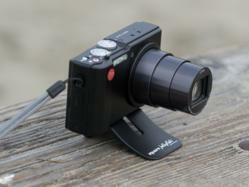 It is designed to support lightweight, compact cameras or small video cameras. The Square Jellyfish Pocket Tripod is made from sturdy polycarbonate/ABS plastic, weighs only 0.4 ounces and measures 2.75 x 1.75 and is .75 tall. Available in mid-December from Amazon.com, each Square Jellyfish Pocket Tripod is $ 6.95. The second in a new collection of consumer accessories with the Square Jellyfish label, these pocket-friendly tripods complement the first line of Square Jellyfish products, which were small cases to store Apple ear buds that double as a stand for a smartphone or tablet. Designed in the U.S.A., Square Jellyfish patents are pending. FOR MEDIA ONLY: Square Jellyfish is happy to send free samples of the Pocket Tripod to any writer, reporter or editor who requests one. Use the media contact information above to request a sample. Prestige Washrooms, a well known online store based in the UK, recently introduced an exclusive range of paper hand towel dispensers. The hand towel dispenser is a very essential item for every washroom and toilet, and Prestige Washrooms is here with the most modern range of them. The dispensers offered by Prestige Washrooms are very stylish to make sure that they suit the modern interior of the restrooms. These dispensers are very modern in technology too. They are very compact so that they can store a lot of paper hand towels in them for regular use. The mechanism for these paper hand towel dispensers is smooth and easy. All these have been carefully taken care of by the Prestige Washrooms for making the product useful. When asked about the new range of paper towel dispensers, the executive manager of the Prestige Washrooms proudly said just like any other product that we offer, these dispensers are best in quality too. We have made sure that they match with the modern choice of designs. The style of these dispensers is best for any washroom. 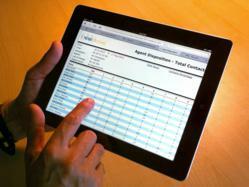 We have also used advanced technology to make the entire process easier and faster for the users. This shows that Prestige Washrooms have great confidence in their product, and that is surely a great sign for the buyers. These dispensers are surely going to be better than any other available one. The range of paper towel dispenser from Prestige Washrooms is surely going to be one of the best ones in the market. Some of the popular ones include Dolphin Plastic Paper Towel Dispenser,Dolphin Stainless Steel Maxi Paper Towel Dispenser, Dolphin Stainless Steel Mini Paper Towel Dispenser,Dolphin Plastic Standard Centre Feed Dispenser,Dolphin White Metal Paper Towel Dispenser, Dolphin Plastic Mini Centre-Feed Dispenser Dolphin Stainless Steel Standard Centre-Feed Dispenser,Dolphin Satin Stainless Steel Paper Towel Dispenser and many more. 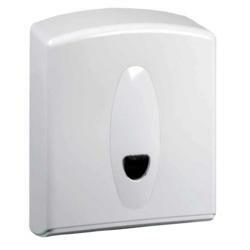 We have a full range of Towel Dispensers, Roll Control Dispensers, and Multifold Dispensers. We stock Recessed paper, Roll Control paper, as well as Multifold paper, Surface Mounted Dispensers and more. Since all these towel dispensers are designed with latest features and best quality material, they are equipped with features that make them more functional and durable. They are made froim high quality plastic or stainless steel. There are even paper towel dispensers that are Hands free are deisgned with sensor technology. Faux Panels adds another exterior siding panel option with Novi Fieldstone Plus. Now both contractors and DIYers have more style options. Genuine fieldstone is literally that stone used in its natural shape, traditionally collected from the surface of fields when theyre cleared for planting. Our Novi Plus version provides the same fantastic look and texture of traditional fieldstone at a fraction of the cost and without harming the environment, said Steve Barron, president of Faux Panels. Because of real fieldstones origins, its often been associated with rural areas, creating a distinctive architectural look. Now thanks to Novi Fieldstone Plus, anyone can create that authentic look quickly and easily, without the high cost. Made from strong polypropylene, these artificial rock siding panels will last a long time while still looking great. Whereas genuine stone can chip, erode and dust, Novi Fieldstone Plus easily weathers routine wear and tear, harsh temperatures, wind, rain, ice and snow. Thanks to its nearly zero UV degradation, it wont fade with time. Novi artificial rock siding panels interlock, so installation is easy. Home owners using a contractor will spend less in labor costs. People who prefer to do it as a DIY project can get professional looking results. Either way, its a lot cheaper than hiring a stone mason. Novi Fieldstone Plus comes in three color options that mimic natural fieldstone. Misty Beige features a warm, sun-baked light tan. Shadow Gray is a neutral shade that evokes New England farmhouses. Smoke White is a paler option reminiscent of Maryland fieldstone, yet looks great everywhere. While Novi Fieldstone Plus is primary used for exterior renovations, depending upon the local building codes in a given area, it can be used indoors, too. Just check the fire rating rules for your area. Adding a fieldstone design option with the new Novi Plus texture and its easy interlocking design gives customers a great new look with classic convenience, said Barron. FauxPanels.com is an industry leader due to wealth of installation guides for DIYers and the best selection of the realistic faux brick, stone and wood panels and columns on the market. Its products have been regularly featured on television shows such as Celebrity Apprentice and numerous appearances on Extreme Makeover: Home Edition. 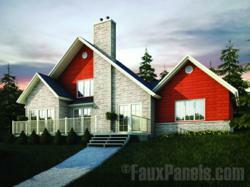 FauxPanels.com is a subsidiary of Barron Designs Inc., a family-owned home improvement business operating since 1972. For more information, visit FauxPanels.com. ACR Electronics is pleased to announce the new ACR ARTEX Survivor Club, http://www.survivorclub.com, where membership definitely has its rewards. 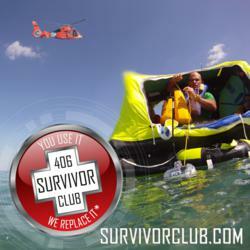 SurvivorClub.com provides those who have used an ACR 406 MHz Emergency Position Indicating Radio Beacon (EPIRB), Personal Locator Beacon (PLB) or an ARTEX 406 MHz Emergency Locator Transmitter (ELT) in an emergency with an opportunity to share their stories, trade-in their used beacon for a new one and to be included on the companys Wall of Fame. We see SurvivorClub.com as building a forum that will promote a very important public service message that satellite detectible 406 MHz beacons are the ultimate way out of trouble, and literally are saving lives somewhere around the planet nearly every day, said Michael Wilkerson, CEO of ACR Electronics, Inc and ARTEX. Survivor Club membership, according to Wilkerson, is open to all those who have activated an ACR or ARTEX beacon in an emergency. However, anyone activating a beacon in an emergency after October 1, 2012 has the added benefit of receiving a new replacement beacon in exchange for the beacon used in the rescue. Survivor Club members can share their experiences online and see the beacon used in their rescue memorialized on ACRs Wall of Fame with a plaque along with their picture. An important aspect of keeping boaters, aviators and outdoor enthusiasts safe is educating them on the lifesaving benefits of having access to a 406 MHz distress beacon, said Wilkerson. Not only will the beacon greatly improve their chances of survival, but it also greatly reduces the risk to the brave men and women searching for them. Who better to promote this safety message than survivors who have actually been rescued. When appropriate, Wilkerson said ACR ARTEX will also honor new Survivor Club inductees at upcoming boating, outdoors and aviation shows as well as acknowledge those retailers where the beacons were originally purchased. ACR designs and manufactures a complete line of safety and survival products under the ARTEX and ACR brand names including ELTs, EPIRBs, PLBs, SART, Strobe Lights, Life Jacket Lights, Search Lights and safety accessories. The quality management systems of this facility have been certified by TUV USA to AS9100C / ISO 9001:2010. Recognized as the world leader in safety and survival technologies, ACR and ARTEX have provided safety equipment to the aviation and marine industries as well as to the military since 1956. The company is headquartered in Fort Lauderdale, Florida and employs over 180 at its manufacturing facility there. Seneca, a leading manufacturer of innovative technology solutions, today announces an enhancement to their warranty with a new 5 year standard warranty option on Nexlink branded desktops. We are excited to offer an industry leading warranty option to our Nexlink desktop kits, said Mark Porter, Desktop Product Manager at Seneca. Everyones budgets have been tightened, and being able to keep a desktop for an extra 2 years, while maintaining warranty coverage is a big plus. Having a solid warranty option takes the risk out of the desktop purchase and makes the overall investment more affordable. All Nexlink desktops offer an exclusive PC Angel System Recovery Solution that provides multiple options to restore systems back to a working state in the event that it has encountered a problem. Combining a 5 year warranty on top of the PC Angel System Recovery Solution provides increased value for a complete desktop solution. Seneca has been delivering innovative custom built computer solutions for over fifteen years. As the largest custom built brand in the US, Nexlink offers desktop, notebook, and server solutions for a wide range of markets to include business, government, education, and healthcare. Nexlink systems are designed to provide maximum performance and reliability while minimizing the total cost of ownership. Delivering only the best solutions, Nexlink products are Windows Hardware Quality Labs (WHQL) certified in our ISO 9001:2008 manufacturing facility. For over 30 years, Seneca has met the needs of customers in diverse industries with original and partnered technology solutions. As a leading U.S.-based Custom Computer Manufacturer, Seneca serves the evolving needs of our Business, Gov/Ed, Digital Security and Digital Signage, Digital Security and Surveillance, Digital Health and Digital Broadcast customers nationwide. By establishing the highest standards for our products, we forge long-term, mutually beneficial partnerships that deliver results. Seneca is best known for our rigorously tested Nexlink brand of custom-built desktops, servers, notebooks and storage devices. Our success is built on service and consistent performance at every stage of the extended technology lifecycle. For more information visit http://www.senecadata.com. Seneca. Creating & Partnering Throughout the Technology Lifecycle. 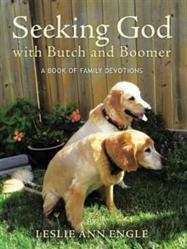 In her new book Seeking God with Butch and Boomer: A Book of Family Devotions (published by Inspiring Voices), Leslie Ann Engle uses two lovable golden retrievers to teach young readers about the Bible. Seeking God with Butch and Boomer is a great resource for families with children and early readers. It follows Butch and Boomer, two golden retrievers who love to share toys and treats, splash in the water, and make friends. The dogs fun and exciting adventures together illustrate Scripture and introduce biblical concepts in a way young people can grasp. Children are also drawn to the books fifty-three color photographs. Dogs bark good morning as we pass them. Butch and Boomer prance along. They sniff at trees, rocks and fire hydrants. Their friends have left messages for them! They show how happy they are by wagging their tails. We see a turtle sunning by the pond. That is a treat! We are reminded that God puts gifts in our days. Already we have found so many and the day has just begun! Geared towards young people, Seeking God with Butch and Boomer is a series of devotionals written in a conversational, interactive manner with Scripture verse, color photographs and prayers included in every message. Engle says, My desire is for each of my readers to have a joyful response to Gods love, faithfulness, and his plans for us through the sharing of these stories and spirit-filled discussions. Leslie Ann Engle, a childrens choir director and private music teacher, passionately shares Gods life lessons with her students. Engle, her husband, Terry, and their dogs, Butch and Boomer, live in the greater Houston area where they enjoy spending time with their grandchildren and making good use of the recreational areas of Galveston Bay. Inspiring Voices, a service of Guideposts, is dedicated to helping authors share their words of hope, faith and inspiration with the world. A strategic publishing partnership with indie book publishing leader, Author Solutions, Inc.; Inspiring Voices allows authors to publish inspirational and spiritual books without respect to their specific doctrine, denomination or political point-of-view. Authors published through Inspiring Voices benefit from access to exclusive Guideposts marketing services, with select titles appearing in a special collection at Guideposts.org. For more information on publishing with Inspiring Voices, log on to inspiringvoices.com or call 866-697-5313. No matter what industry you are in, it is always important to have good-looking, professional marketing tools to present to customers. Navitor Folders is the only one in the marketplace that has this feature available as an online ordering solution. Navitor offers quantities as low as 50 along with 10 stock varieties and 7 foil imprint colors online. Navitor offers a variety of folder styles online as well, such as expandable, literature and legal sizes. All the folders featured on navitor.com come with standard horizontal business card slits centered on the right pocket. Foil stamping is specialty finishing services that can make printed materials stand out from the crowd. It is a printing application where heat, pressure and metallic paper (foil) are used to create various designs and graphics on different materials. Foil gives the stamped design a radiant, polished and sophisticated look. Another advantage of foil stamping is the environmental factor. The Foil & Specialty Effects Association recently did a study on foil stamping sustainability. The research showed that foil stamping did not lower the recyclability of paper products. As an affiliate of Taylor Corporation, an industry leader for nearly four decades, Navitor is proud to provide a full spectrum of custom wholesale printing and personalization services for trade print resellers and businesses in identity related industries, including graphic designers, independent print shops, print & office supply brokers, ad & sales promotion agencies and retail partners. To learn more, visit http://www.navitor.com. The summer season has hit its peak and that means Riverbend has introduced another new plan to our diverse portfolio. With architectural styles ranging from Craftsman to Modern, our newest design has potential clients inspired and anxious to begin the process of building their dream timber frame home. This week, Riverbend has showcased a stylistically unique design to the series, the Bar Harbor. This seaside design is the first of its particular style to be introduced this year. The coastal feel of this custom design concept features traditional timber framing in the interior that flows through the exterior to create an attached pergola off the master suite. The glass breezeway connecting the home and garage offers uninterrupted views of the land in an artistically unique fashion. This designs versatility makes it fit easily along the rugged New England coast or amongst rows of Oregon seaside cottages. While this design concept is featured as a single level, gradual steps down from the bedrooms to the great room and to the garage create a distinct separation between living spaces. The outdoor kitchen, fire pit, fountain and private master deck seamlessly connect the outdoors with home interiors and increase the size of the plans total living space. View the latest Riverbend Design Concepts, and more at: http://www.riverbendtf.com/floorplans.html. PFB Custom Homes Group, a wholly owned subsidiary of PFB Corporation, is the parent company of Riverbend Timber Framing, PrecisionCraft Log and Timber Homes, and Point Zero Homes. 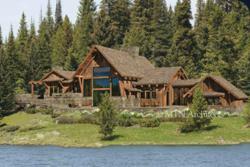 Riverbend is a manufacturer of custom traditional timber frame homes. Using traditional timber frame designs and an integrated energy efficient building system, Riverbends homes are built to last. With 30 years of experience, Riverbend creates inspiring homes that match each clients unique lifestyle, architectural preference and budget. Urnaments LLC has created a special keepsake urn called Christmas Memories for patrons who want to commemorate the memory of their loved ones and pets during the holidays. There is a logic to this. 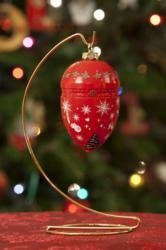 All Urnaments and Pet Urnaments look like traditional holiday ornaments and are specially designed so they can be adorned on a Christmas Tree. If the First Edition Collection of seven very distinct designs were represented by Christmas Memories, the assumption might that the product was solely a “seasonal” one. This is why Urnaments’ graphic artists at Miles Technologies were instructed to make no more than one design with a holiday theme.